Bid farewell to the wonderful of 2017 and open the new life of 2018! 2017 is a year of innovation and development for Soonercleaning. Although there are so many troubles during this year, such as encountering low exchange rate and environmental protection, Soonercleaning overcame these difficulties by insisting on the thought of maintaining stability. 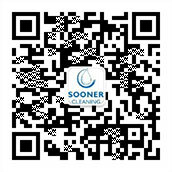 With the good quality and reputation, Soonercleaning took a favorable market. The new year brings more hopes, all colleagues decide to make more efforts to create success.